You save $20 if you purchase this matching set instead of purchasing a single ring! 8mm and 6mm is the default matching set for this listing. 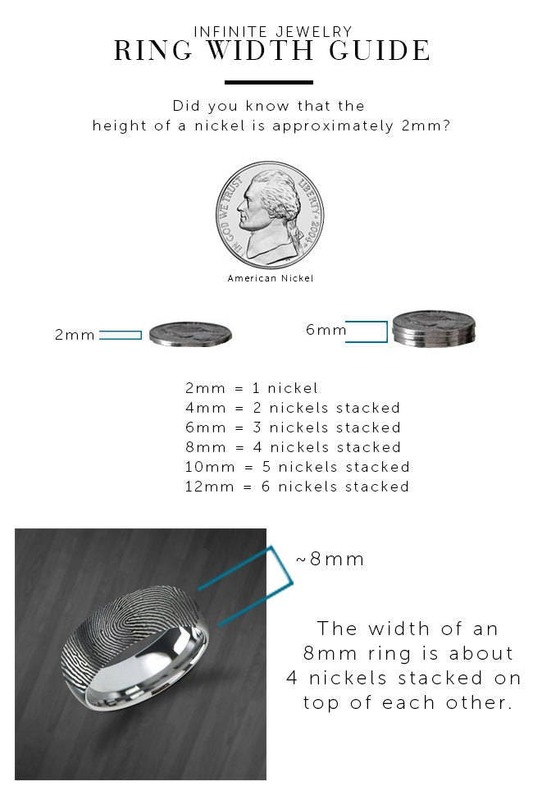 This ring is also available in 4mm, 6mm, 8mm, 10mm and 12mm. If you'd like to change a width, please tell us in the order notes at checkout or contact us directly. 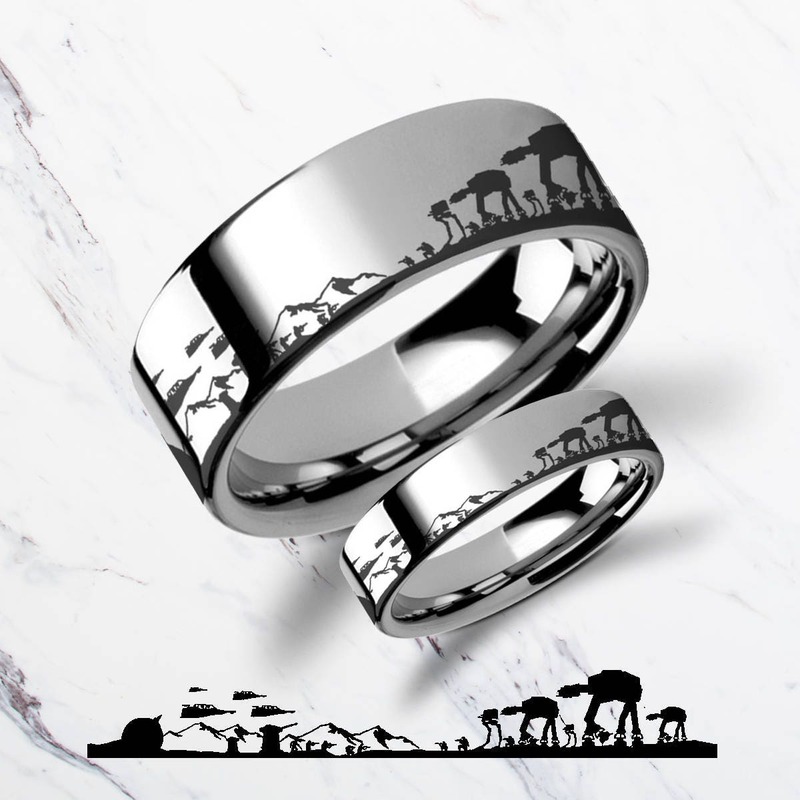 This is a couple's matching set flat polished tungsten carbide ring with an awesome Star Wars battle of the Hoth scene engraved on the outside of each ring. You can pair these outside Star Wars battle scene engravings with any quote engraved on the inside, including quotes from the film! Thank you so much for walking me through this process. My husband and I love our rings they are amazing. I asked for these to be made in black & recieved them in silver instead. I'm happy with the quality & friendliness of Aaron. I'm leaving a 5 star review bc even though they were not what i ordered or was expecting they are still lovely & We are happy with them. I messaged Aaron to let him know we are keeping these & not looking for a fix. Will order again from Aaron in the future! 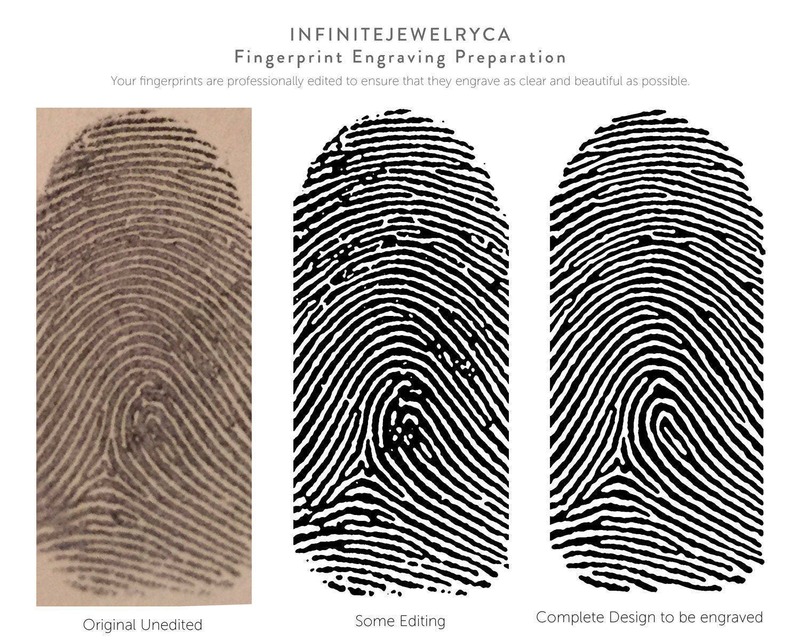 They did an amazing job. It’s beautiful and came in an amazing box. My husband and I are very happy and it was worth every penny. Arrived quickly and was everything we wanted! The seller is great at answering questions promptly and working with you to ensure you get what you’re looking for.